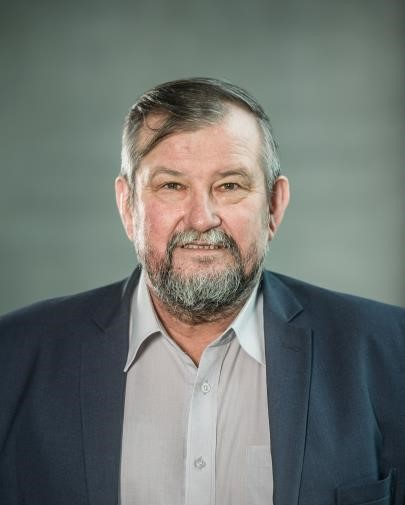 Professor Zbigniew Maćkiewicz was born on July 10, 1953 in Grudziadz, Poland. There he got his primary education and graduated from Technical Highschool of Chemistry and Electrical Engineering. In 1973-1977 he studied chemistry at the Faculty of Mathematics, Physics and Chemistry in the University of Gdansk and graduated with M.Sc. He continued his education there, and received his PhD in 1983 and in 1984 he got a Postdoctoral position in Faculty of Pharmacology in the Sherbrocke University in Canada. After that, he was habilitated (DSc) in Faculty of Chemistry (University of Gdansk) in 1995. His carrier in Institute/Faculty of Chemistry in University of Gdansk started in 1977. In 1997-1999 he was Head of PhD Studies there, and in 1999-2009 he was Head of the Laboratory of Polypeptide Chemistry. In 2003 he was awarded the title of full professor. His scientific interest focused on chemistry of amino acids, peptides and proteins; chemical synthesis of peptides; immunochemistry; viral and bacterial peptide immunogens; synthetic vaccines and diagnostic tests; antimicrobial peptides; structure-activity relationships of polypeptides; interactions of peptides with metal cations (Zn, Cu); salivary proteins; role of heavy metals cations in saliva; biological activity of parathormone; peptides in cosmetics. He was author or co-author of about 100 papers, more than 30 conference proceedings, and 30 conference presentations. He supervised over 100 master thesis, 40 bachelors thesis and 12 doctoral thesis. He reviewed numerous dissertations and thesis. Zbyszek, was always frank, good-hearted and witty person. If to describe him in one sentence- he was simply a good man, having a good word for everyone. Loved by coworkers, popular among students, having enviable ability to “speak the same language” with anybody he met. He was loving husband, father and grandfather. We lost a wonderful friend and the Faculty lost a great educator of many generations of students. Zbyszek had colorful personality, that we would undoubtedly miss.